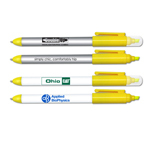 Great for school or office! 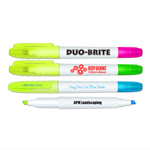 Perfect for college book stores! 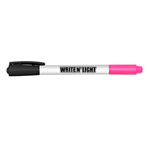 This comfortable to hold, easy to control Double Ended Erasable Highlighter will allow you to correct that mistake instantly. 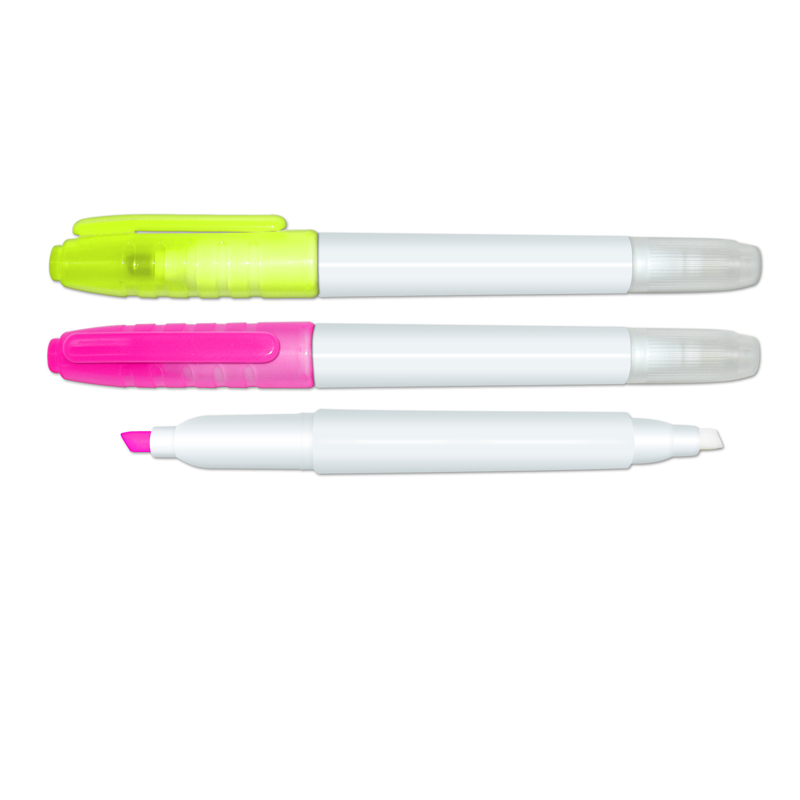 For added convenience, both caps fit snuggly on top of the other when not in use, so they will not be misplaced. 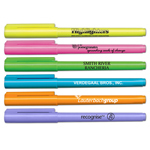 The bright, fluorescent inks have transparent, read through color and are bold enough to highlight important text. Non-Toxic. 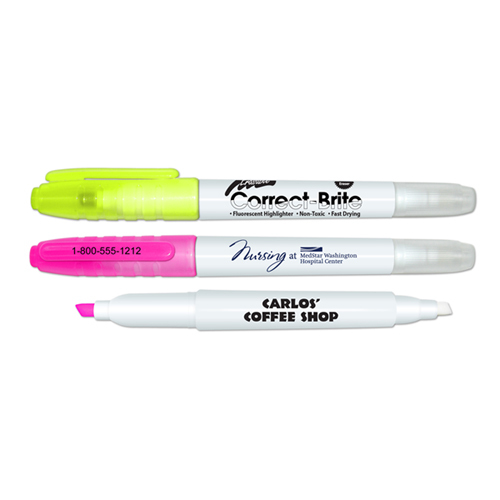 Color Selection: White Barrel with your choice of Fluorescent Yellow or Fluorescent Pink Highlighter Ink.